Face mists can refresh, hydrate, mattify and more. If you ever happen to walk by my desk, I guarantee you&apos;ll see a face mist... or three. I don&apos;t know a single beauty editor who isn&apos;t obsessed with them. That&apos;s because they&apos;re the kind of product that you&apos;d never know you needed—but once you try, can&apos;t live without. 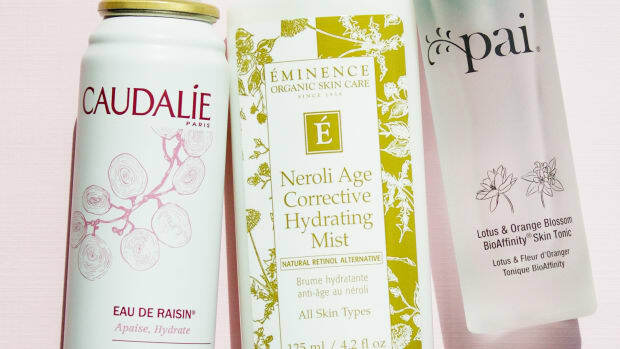 In my pre-beauty editor days, I thought face mists were just fancy water in a can. Refreshing, maybe, but that&apos;s about it. But then I got a job in magazines, and brands started sending me stuff to test that I might not have purchased on my own, at least at that time. That&apos;s when I finally got on board Team Face Mist. 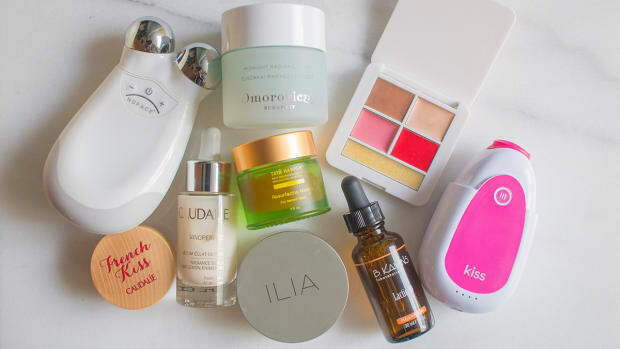 Now that I&apos;ve had the chance to try dozens of them—and fully incorporate them into my skincare and makeup regimens—I TOTALLY see their merits. In fact, I can&apos;t think of a more versatile beauty investment. So are face mists necessary? Maybe not in the same way as a cleanser or sunscreen is, but they&apos;re a pretty darn important part of my routine. 1. Face mist refreshes your skin. This one goes without saying—face mist is an instant pick-me-up. Spritzing your face feels cooling and refreshing on a hot day, post-yoga class or whenever you hit that mid-afternoon slump at the office. 2. Face mist hydrates your skin on the go. If you choose a face mist formulated with extra hydrating ingredients (like essential oils, glycerin and panthenol), it can keep dry skin at bay when you spritz it on throughout the day. Unlike repeat applications of moisturizer, it won&apos;t mess up your makeup! Note: Don&apos;t mist too often with water-only sprays like Avène Thermal Spring Water unless you&apos;ve got an oilier skin type. 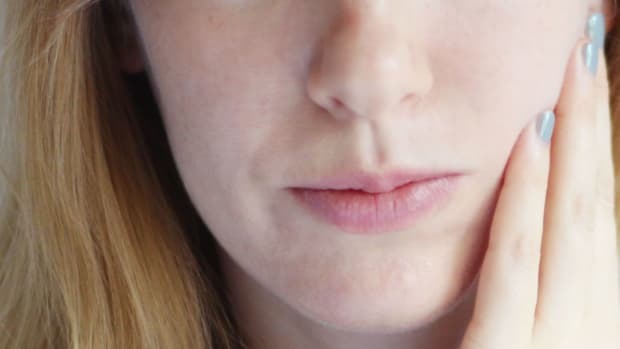 You can actually make dry skin even drier if you&apos;re spritzing frequently with a product that doesn&apos;t have added humectants and emollients—especially on airplanes. 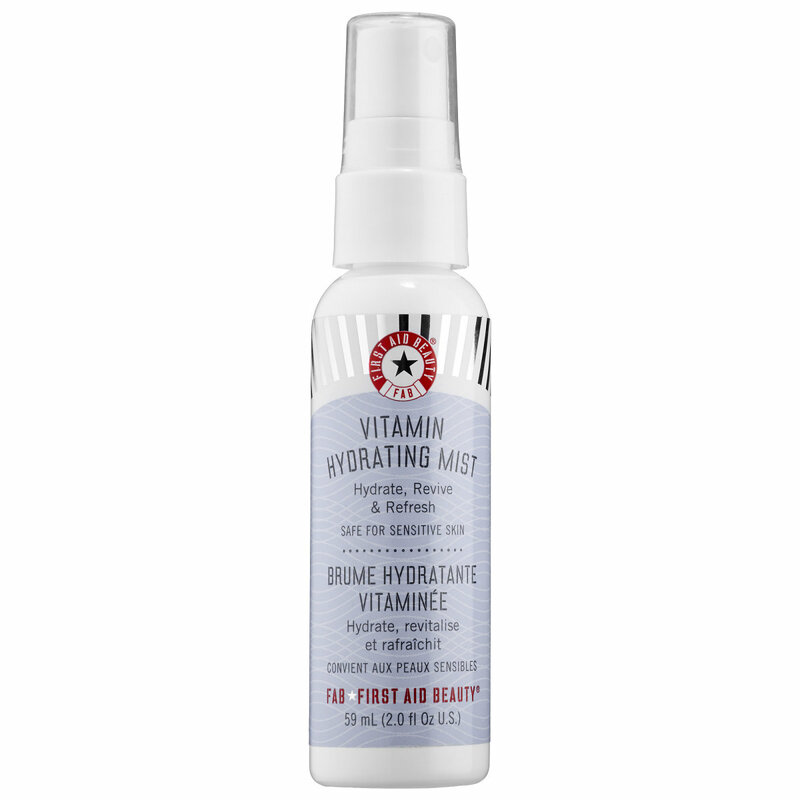 First Aid Beauty Vitamin Hydrating Mist. Ingredients: Water, Polysorbate 80, Hamamelis Virginiana (Witch Hazel) Extract, Butylene Glycol, Caprylic/Capric Triglyceride, Citrus Aurantium Bergamia (Bergamot) Fruit Water, Pogostemon Cablin Leaf Extract, Panthenol, Sodium Ascorbyl Phosphate, Tocopheryl Acetate, Chrysanthemum Parthenium (Feverfew) Extract, Citrus Aurantium Dulcis (Orange) Peel Extract, Citrus Grandis (Grapefruit) Peel Extract, Camellia Sinensis Leaf Extract, Glycyrrhiza Glabra (Licorice) Root Extract, Rosmarinus Officinalis (Rosemary) Leaf Extract, Ocimum Basilicum (Basil) Leaf Extract, Santalum Album (Sandalwood) Wood Extract, Glycerin, Caprylyl Glycol, Leuconostoc/Radish Root Ferment Filtrate, Phenoxyethanol, Citric Acid, Potassium Sorbate, Sodium Benzoate, Benzoic Acid, Limonene, Disodium EDTA, EDTA, Benzyl Alcohol, Linalool, Evernia Furfuracea (Treemoss) Extract. 3. Face mist helps you seal in extra moisture. Another way to increase your skin&apos;s hydration is by layering an application of face mist in between your skincare and makeup products. For example, you could mist before applying moisturizer, again before primer, and again before foundation. With each step, you&apos;re sealing in the moisture—the end result will be a plumper, dewier skin look. Ingredients: Aqua (Water, Eau), Propylene Glycol, Aloe Barbadensis Leaf Juice, Fucus Veiculosus Extract, Gardenia Florida Fruit Extract, Polysorbate 20, Caprlyl Glycol, Hexylene Glycol, Parfum (Fragrance), Phenoxyethanol, Sodium Chloride, CI 17200 (Red 33), CI 42090 (Blue 1). 4. Face mist primes your skin for makeup. If you apply it before your foundation, a layer of face mist helps create a smoother, more hydrated canvas over which to apply makeup. A regular face mist will work, or you can try one from the new category of priming face mists designed specifically for this purpose. Many of these are silicone-free, making them a great alternative to conventional primers for those of us trying to avoid that ingredient. 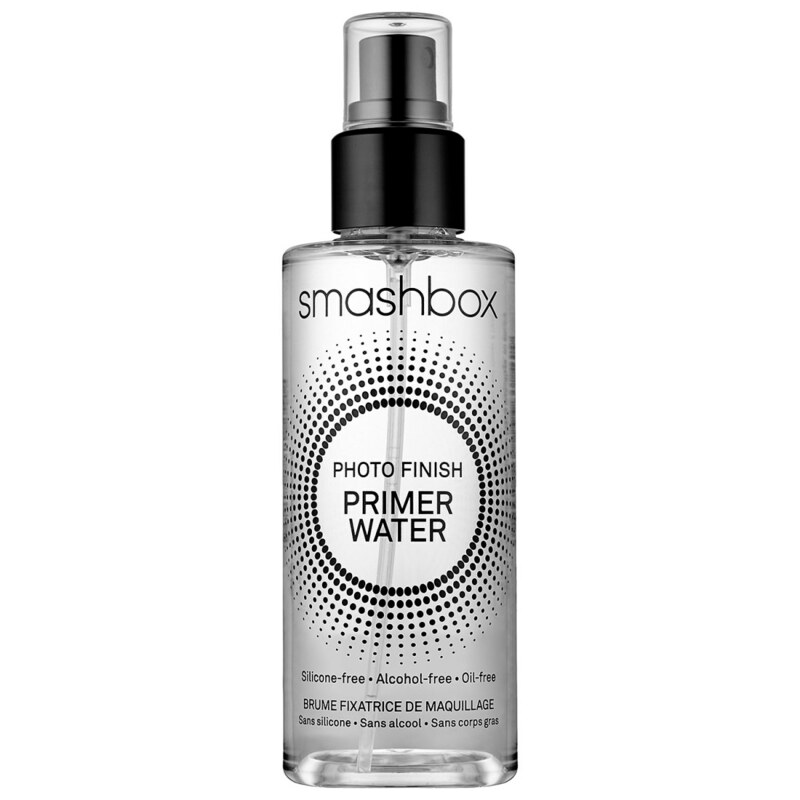 Smashbox Photo Finish Primer Water. Ingredients: Water\Aqua\Eau, Butylene Glycol, Caffeine, Magnesium Chloride, Calcium Chloride, Sodium Sulfate, Potassium Nitrate, Potassium Phosphate, Polysorbate 80, Diamond Powder, Fragrance (Parfum), Limonene, Linalool, Citral, Phenoxyethanol, Sodium Benzoate. 5. Face mist helps blend your makeup. The key to great skin makeup is to blend, blend, blend! 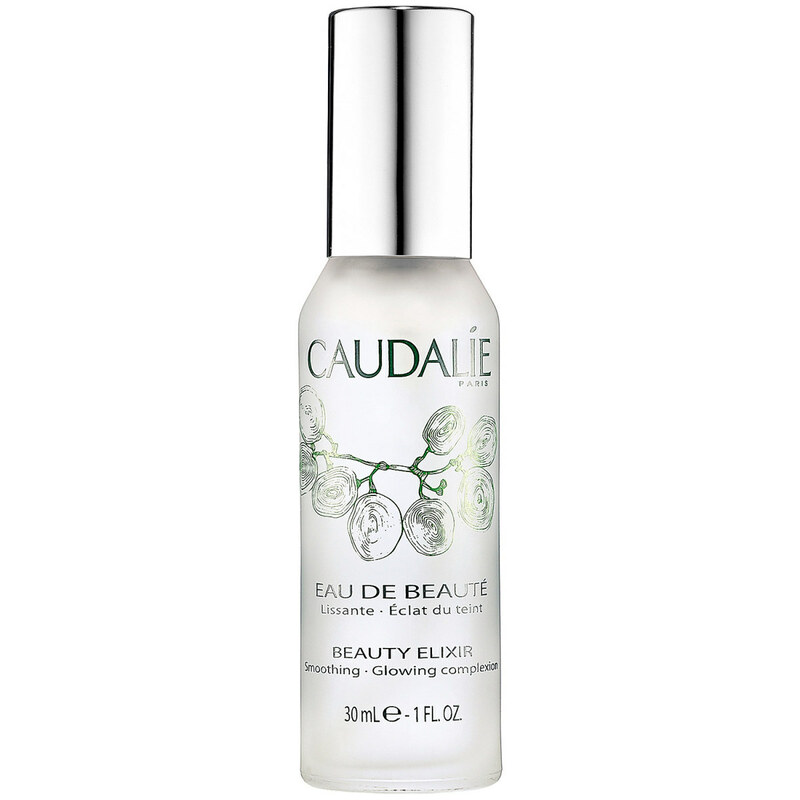 Face mist can help foundation spread more easily and give a sheerer, more natural finish. I also like using a face mist to dampen my Beautyblender sponge, pressing it into my skin to remove excess product. Tarte Rainforest of the Sea Marine Boosting Mist. Ingredients: Water, SD Alcohol 40-B (Alcohol Denat. ), Glycerin, Citrus Aurantium Dulcis (Orange) Peel Oil, Limonene, Phenoxyethanol, Sea Water Extract, Caffeine, Disodium EDTA, Lens Esculenta (Lentil) Seed Extract, Lavandula Angustifolia (Lavender) Oil, Mentha Piperita (Peppermint) Oil, Chlorphenesin, Citral, Ethylhexylglycerin, Cocos Nucifera (Coconut) Oil, Algae Extract, Linalool, Gardenia Tahitensis Flower Extract, Tocopherol. 6. Face mist helps your makeup look more natural. I love setting my makeup with powder to make it last longer—but I don&apos;t love a dry, powdery texture. Enter face mist. 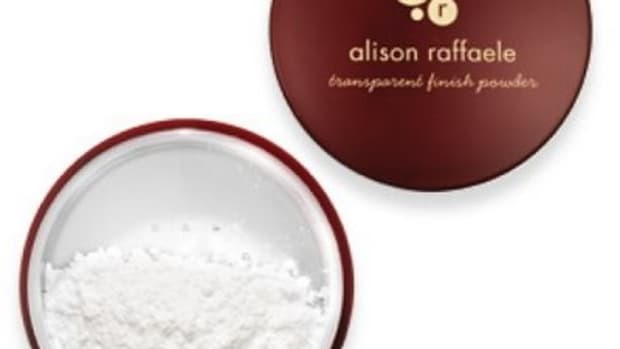 Used sparingly, it gets rid of the surface powder residue for that seamless, lived-in look we all covet. 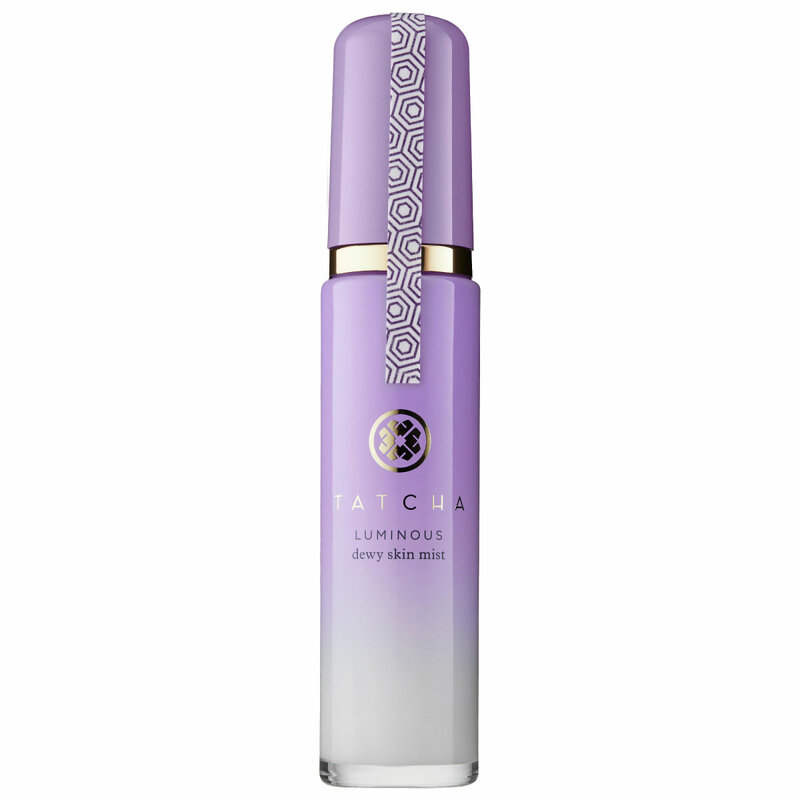 Tatcha Luminous Dewy Skin Mist. Ingredients: Water, Glycerin, Squalane (Olive Origin), Cyclopentasiloxane, Propanediol, Triethylhexanoin, Camellia Japonica Seed Oil, Inositol (Rice Extract), Algae Extract, Sericin (Silk Extract), Glycyrrhizaglabra (Licorice) Root Extract, Oryza Sativa (Rice) Germ Oil, Camellia Sinensis (Green Tea) Leaf Extract, Chondrus Crispus (Redalgae) Extract, Panax Ginseng Root Extract, Royal Jelly Extract, Zizyphus Jujuba Fruit Extract, Thymus Serpillum (Thyme) Extract, Scutellaria Baicalensis Root Extract, Polyglyceryl-2diisostearate, Ppg-5-Ceteth-10 Phosphate, Trideceth-12, Sodiumlauroyl Lactylate, Sorbitan Stearate, Ethylhexylglycerin, Behenyl Alcohol, Glyceryl Stearate Se, Fragrance, Sodium Hyaluronate, Alcohol, Phenoxyethanol. 7. Face mist sets your makeup. Alternatively, you can use face mist to both take down powder and make your makeup last longer, in one step. Look for one of the new hybrid face mist-setting sprays, which contain ingredients that extend the wear-time of your foundation. Many use silicones, but I like Farmacy&apos;s because they use natural polymers. 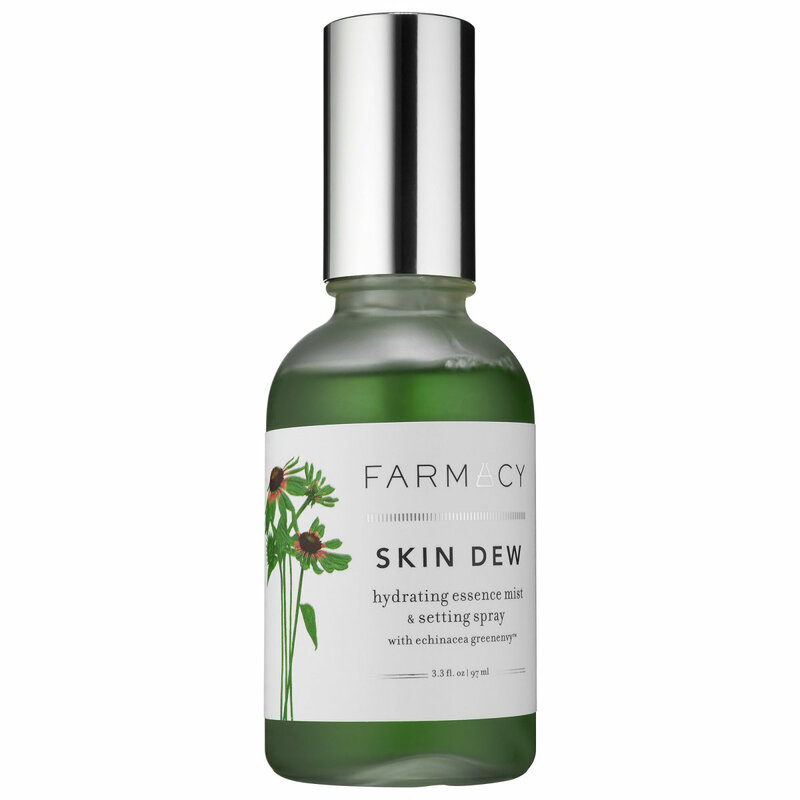 Farmacy Skin Dew Hydrating Essence Mist & Setting Spray. Ingredients: Water, Glycerin, Propanediol, Methoxycinnamidopropyl Hydroxysultaine, Patented Echinacea Purpurea ‘Greenenvytm’ Root Extract, Equisetum Arvense Juice, Phenoxyethanol, Oleth-20, Actinidia Chinensis (Kiwi) Fruit Extract, Melia Azadirachta Leaf Extract, Mentha Piperita (Peppermint) Oil, Melia Azadirachta Flower Extract, Coccinia Indica Fruit Extract, Citrus Aurantium Dulcis (Orange) Peel Oil, Ocimum Basilicum (Basil) Flower/Leaf Extract, Cananga Odorata Flower Oil, Citrus Aurantium Bergamia (Bergamot) Fruit Oil, Citrus Aurantifolia (Lime) Oil, Rosmarinus Officinalis (Rosemary) Leaf Oil, Solanum Melongena (Eggplant) Fruit Extract, Curcuma Longa (Turmeric) Root Extract, Corallina Officinalis Extract, Zingiber Officinale (Ginger) Root Oil, Aloe Barbadensis Flower Extract, Ocimum Sanctum Leaf Extract, Caprylic/Capric Triglyceride, Dehydroxanthan Gum, Sodium Phytate, Sodium Citrate, Citric Acid, Amino Esters-1, Potassium Sorbate, Sodium Benzoate, Ethylhexylglycerin, Caramel. 8. Face mist revives your makeup. When you&apos;re heading from the office to cocktails, face mists are a great way to touch-up your foundation without having to wash your face and start all over again. All you need to do is mist your face a couple times and then use your fingertips or a brush to re-blend. Spot-conceal where needed, and you&apos;re ready to go. Too Cool For School Perfect Day Makeup Fixer Spray. Ingredients: Water, Rosa Centifolia Flower Water, Butylene Glycol, Citrus Unshiu Peel Extract, Melissa Officinalis Extract, Portulaca Oleracea Extract, Centella Asiatica Extract, Ficus Carica (Fig) Fruit Extract, Ulmus Davidiana Root Extract, Epilobium Angustifolium Flower/Leaf/Stem Extract, Amaranthus Caudatus Seed Extract, Hydrogenated Lecithin, Cetyl Ethylhexanoate, Glycerin, Cyclopentasiloxane, Ceteth-20, Steareth-20, Triethylhexanoin, Sodium Citrate, Glyceryl Stearate, Cetearyl Alcohol, Citric Acid, Tocopheryl Acetate, Ceramide Np, Panthenol, Folic Acid, Cholesterol, Raffinose, Tromethamine, Palmitoyl Pentapeptide-4, Phenoxyethanol, Methylparaben. 9. Face mist can help control oil production. 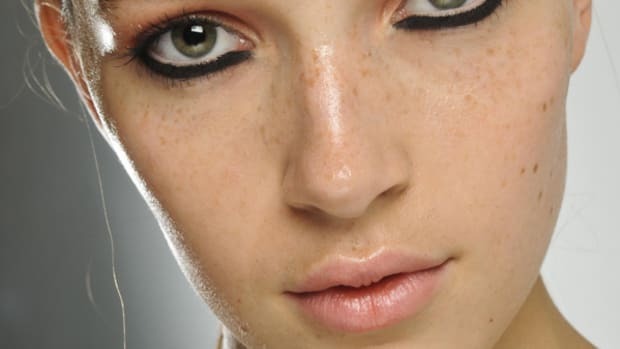 If you thought powder and blotting sheets were your only options for mattifying throughout the day, think again. 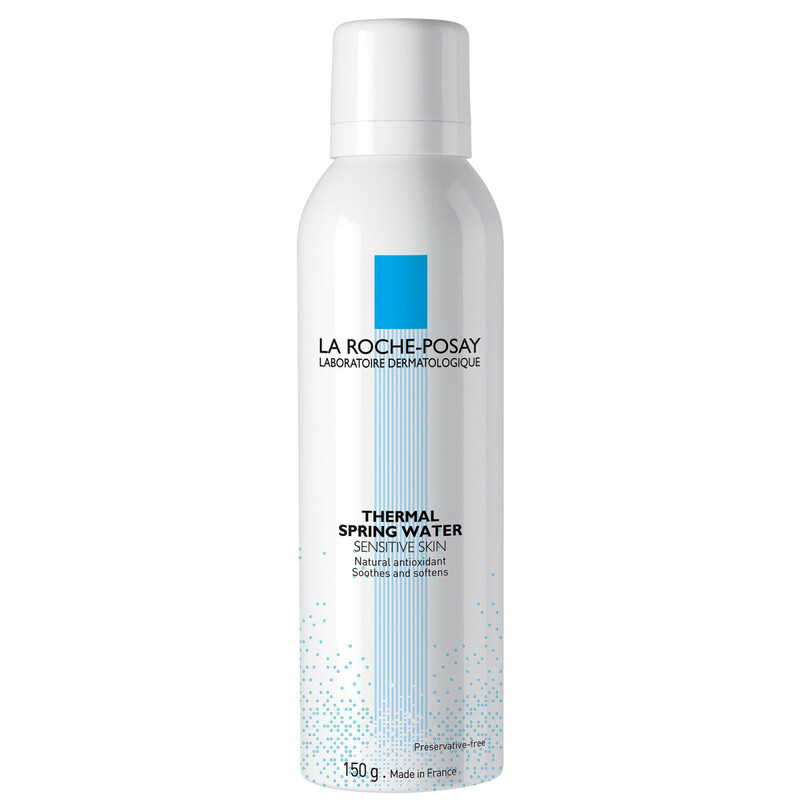 There are face mists that absorb excess oil while providing light hydration. Some, like Dr. Jart+ Pore Medic Pore Minish Mist can be used not only for touch-ups, but also to replace powder as your makeup-setting spray. 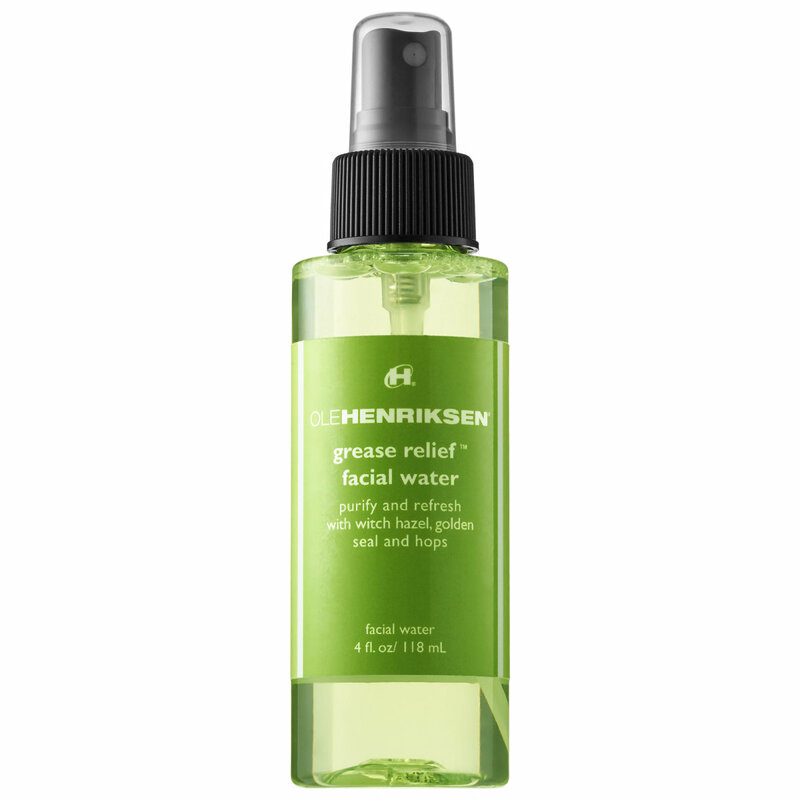 Ole Henriksen Grease Relief Facial Water. Ingredients: Water, Adipic Acid/Neopentyl Glycol Crosspolymer, Aminomethyl Propanol, Biosaccharide gum-1, Glyceryl Polymethacrylate, Polyacrylate Crosspolymer-6, Lactic Acid, Glycolic Acid, Glycerin, Glucosamine HCL, Polysorbate 20, Avena Sativa (Oat) KernelExtract, PEG-8, Menthyl Ethylamido Oxalate, Pisum sativum (Pea) Extract, Arginine, Hydroxyethyl Acrylate/ Sodium Acryloyldimethyl Taurate Copolymer, Bambusa vulgaris stem/leaf extract, Dimethicone, Panthenol, Polyisobutene, VP/VA Copolymer, Chondrus Crispus(Carrageenan), Hydrolyzed hyaluronic acid, Mica, Sorbitol, Glycine, Amodimethicone,Hydroxypropyl Methylcellulose, Titanium Dioxide, PEG-7 Trimethylolpropane Coconut Ether, Sodium Hyaluronate, Calendula Officinalis Flower Extract, Cucumis Sativus (Cucumber) Fruit Extract, Sea Salt, Copper Tripeptide-1, Hydrolyzed Soy Protein, Palmitoyl Oligopeptide, Potassium Sorbate, Ethylhexylglycerin, Phenoxyethanol, Fragrance. 10. Face mist boosts absorption of your moisturizers and masks. Damp skin acts like a sponge, quickly absorbing any products you put on it. (That&apos;s why dermatologists often advise people with dry skin to apply their body lotion straight out of the shower.) To maximize your face creams&apos; performance, try using them on top of a layer of face mist. The same thing goes for masks—they&apos;ll glide on more smoothly and penetrate more easily if your skin is moist, not dry. 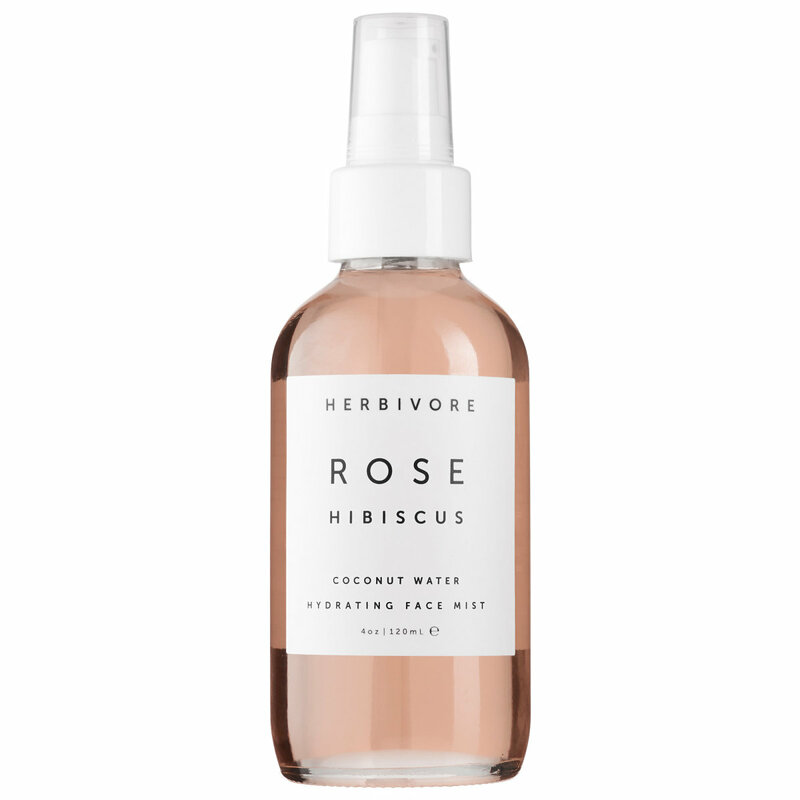 Herbivore Rose Hibiscus Coconut Water Hydrating Face Mist. Ingredients: Water, Cocos Nucifera (Coconut) Water, Hamamelis virginiana (Witch Hazel) Distillate, Aloe Barbadensis Leaf Water (Aloe Water), Hibiscus Flower Extract, Bulgarian Rose Oil, Grapefruit Oil, Lactobacillus Ferment. 11. Face mist helps dilute other products. Sometimes, a product just isn&apos;t working. Maybe the consistency is too thick, the texture is too heavy, or the coverage level is too opaque. 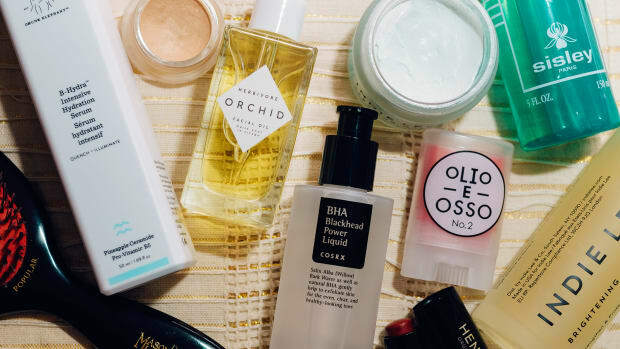 Face mist can come in handy because you can make your own DIY concoctions—say, diluting a cream into a lotion, or thinning out a foundation into a sheer tint. Ingredients: Water, Alcohol*, Citrus Aurantium Amara (Bitter Orange) Flower Water*, Parfum (Fragrance)*, Rosmarinus Officinalis (Rosemary) Leaf Oil*, Potassium Alum, Glycerin*, Mentha Piperita (Peppermint) Oil*, Styrax Tonkinensis Resin Extract*, Commiphora Myrrha Resin Extract*, Melissa Officinalis (Balm Mint) Leaf Oil*, Rosa Damascena Flower Oil*, Vitis Vinifera (Grape) Fruit Extract*, Tocopherol*, Citral*, Limonene*, Linalool*, Citronellol*, Geraniol*, Farnesol*, Benzyl Benzoate*, Eugenol*. *Plant Origin. 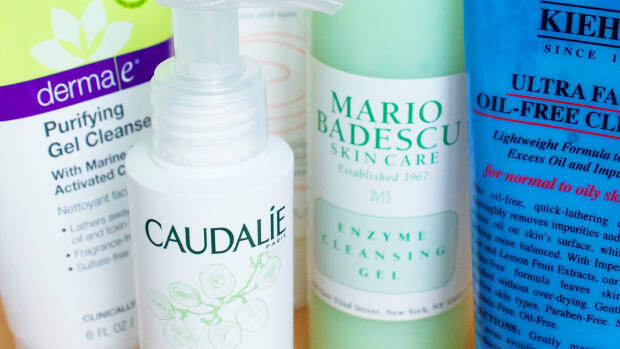 A face mist is one of the most versatile beauty products you can add to your arsenal. There&apos;s so much you can do with face mist! It&apos;s an incredibly versatile beauty product that I reach for every single day. Besides all the different ways you can use it, my favourite thing about face mist is the instant gratification factor. 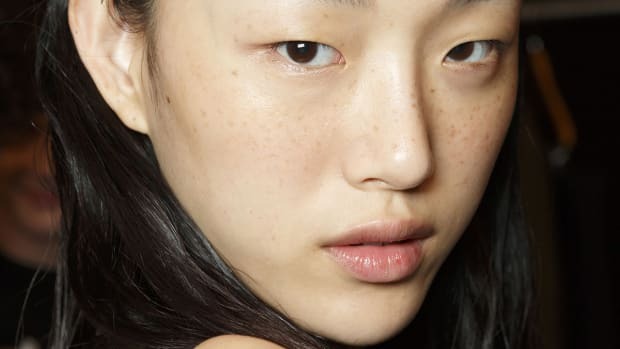 One spritz, and right away your skin looks less dull, more dewy. It might not be permanent, but that&apos;s the great thing about face mists... you can spray them on again and again and again! Are you a fan of face mists?